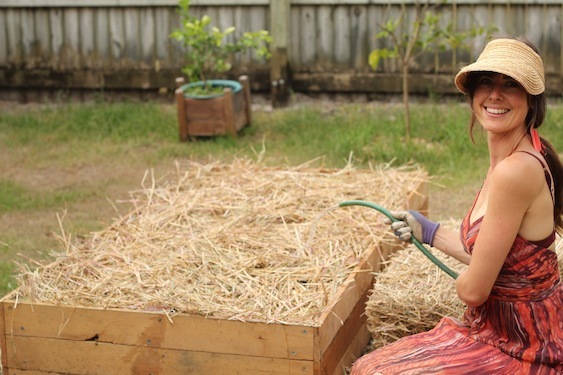 Alice shares an easy way to compost at home. 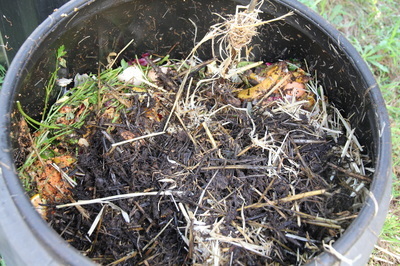 This composting technique will result in rich compost with the aroma of fresh earth. Alice arrives to your place with all the equipment you need for a complete home composting set up including 1 black compost bin, an essential compost stirring tool, neat bench-top food scrap bin and a very handy Easy Composting mini poster for adhering to the inside of a kitchen cupboard, so everyone in the house can be a part of recycling food waste and turning it into valuable compost. Following this technique will result in a healthy, happy compost bin that will only emit a sweet smell while decomposing and the resulting compost will smell of deep, rich soil. The great thing about the black compost bin is that it is completely sealed. If rodents are a particular problem at your house, we have a great solution to add while installing the compost bin. What do I do if there are insect larvae in my compost bin? Add more carbon materials and be sure to keep the lid closed at all the time except when you are adding food scraps, carbon materials and stirring of course. Can orang peel, garlic, onion skins go in? Unlike feeding a worm farm, you do not need to be so selective with making compost. Everything vegetable based can go in! By making compost you are literally making earth. If you consider how many resources are consumed to make the homes we live in and the top-soil that is lost due to conventional farming practices, it is comforting to know that we can contribute to creating more soil for the earth. By making compost you are reducing the production of waste. Food scraps in the waste bin can be smelly and slimy and once delivered to the tip release large amounts of damaging greenhouse gases. It’s comforting to know that you can be a part of a solution by recycling your food scraps into food for your plants. By making compost you are making free and natural food for your plants. Conventional NPK fertilizers are damaging to the soil life surrounding your plants and contribute to a build up of un-healthy levels of chemicals in your home. 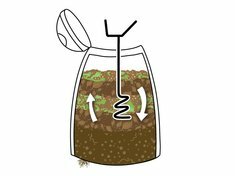 It’s almost amazing that you can provide for your plants' needs by applying compost that you have made yourself from food scraps that themselves will become food! Get started today.